Leonard Stamm has been a practicing drunk driving, DUI, DWI, and criminal defense lawyer in the District, Circuit, and appellate courts of Maryland since 1984. Stamm is recognized as an authority in the area of drunk driving defense and Motor Vehicle Administration hearings in Maryland and has lectured and written extensively on this topic in Maryland and around the country. He has been a speaker at and has organized numerous continuing legal education seminars since 1986. 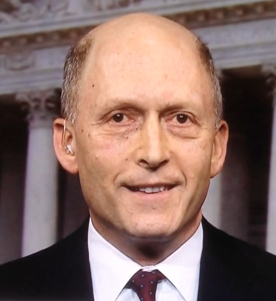 He is presently a Fellow of the National College for DUI Defense, and was previously Chairman of its Curriculum Committee and Amicus Committees. He is a former President of the Maryland Criminal Defense Attorneys' Association. 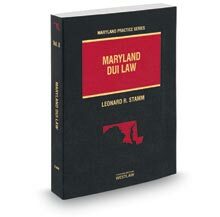 In September 2008 the first edition of Stamm's book, Maryland DUI Law, was published by West Publishing Company. The book is updated by Stamm every year. He won a jury acquittal for a state delegate charged with driving while impaired (read the story) and was recognized by the Daily Record for having joined in an amicus brief on behalf of the National College for DUI Defense, authored by the National Association of Criminal Defense Lawyers, and filed on behalf of the winning side in the United States Supreme Court in Melendez-Diaz v. Massachusetts. (Read the story). In December 2010 Stamm co-authored the amicus brief filed in the Supreme Court by the National College for DUI Defense and the National Association of Criminal Defense Lawyers in Bullcoming v. New Mexico. In December 2012 Stamm co-authored the amicus brief filed in the Supreme Court by the National College for DUI Defense and the National Association of Criminal Defense Lawyers in Missouri v. McNeely. In February, 2016, Stamm co-authored the amicus brief filed in the Supreme Court by the National College for DUI Defense and the National Association of Criminal Defense Lawyers in Birchfield v. North Dakota. He also serves on the Maryland Criminal Pattern Jury Instruction Committee of the Maryland State Bar Association. He has had a number of articles published in the Champion magazine, the magazine of the National Association of Criminal Defense Lawyers. He has been qualified as a practitioner and an instructor in standardized field sobriety tests in accordance with standards set forth by the International Association of Chiefs of Police (IACP) and the National Highway Traffic Safety Administration (NHTSA) and completed a certification class as an operator and maintenance technician for the Intoxilyzer 5000. He hosted a training seminar in the Intox EC/IR. Stamm holds a certificate of successful completion for the Robert F. Borkenstein Course on " Alcohol, Drugs, and Highway Safety: Testing, Research, and Litigation " based out of Indiana University at Bloomington. He also completed a four and a half day course called Forensic Chromatography: Theory and Practice. He is one of the few lawyers in the country to have taken a two and a half day overview of the Drug Recognition Expert (DRE) program. Martindale-Hubbell gives him its highest rating - "AV Preeminent." He has also been listed in "Super Lawyers" and "Best Lawyers." Stamm was named Best Lawyers®"Lawyer of the Year" for 2015, 2016, and 2017 in the area of DUI/DWI defense in the metro Washington, D.C. area. He has the highest Avvo rating - "10-Superb." On May 1, 2013, Stamm was given the first annual Fred Bennett Zealous Advocacy Award by the Maryland Criminal Defense Attorneys' Association (MCDAA). This award will be given annually to the member of MCDAA who best exemplifies the qualities that Fred Warren Bennett possessed which made him a courageous litigator and tireless advocate for criminally accused individuals. On October 16, 2014, Stamm was given the prestigious Legal Excellence Award for Advancement of Professional Competence by the Maryland Bar Foundation. Practice Manual for the Maryland Lawyer, Chapter 15, Traffic Law, MICPEL (1996-2012). The Top 20 Myths in Breath, Blood, & Urine Testing - University of Mississippi DUI Practitioners 2004 CLE Seminar - Jackson, Miss. (Oct. 22, 2004); Minnesota Society for Criminal Justice, 20th Annual Seminar - Las Vegas, Nev. (2005); Maryland Criminal Defense Attorney's Association - Balt., Md. (2005); Prince George's County Bar Association - Upper Marlboro, Md. (2005); Mastering Scientific Evidence in DUI/DWI Cases - Dallas, Tx. (Apr. 28, 2005); Ohio Association of Criminal Defense Attorneys, Dublin, Oh. (Mar. 8, 2007); Stuart Kinard Memorial Advanced DWI Seminar - San Antonio, Tx. (Nov. 3, 2007); Worcester County Bar Association, Fager's Island, Ocean City, Md. (Nov. 7, 2008); Stuart Kinard Memorial Advanced DUI Seminar, San Antonio, Texas (Oct. 13, 2011).